Students are often scrambling to find research opportunities with professors. But there is a simple solution. Uncertainty about what research projects are available or which professors are looking for research assistants makes a rigorous process even more cumbersome. There is no formal system where research assistant opportunities are listed, making it difficult for students to have access to these valuable opportunities. Research assistantships provide tangible skills, ranging from literature review and library research to survey design and data analysis, that will be useful for future employment. GW’s current resources puts the onus on students to contact professors and find research positions themselves rather than providing resources to help students. Lack of direction from career services and academic counselors about where to find and how to apply for on-campus research assistantships prevents many undergraduates from acquiring research experience. For too long, students have relied on an informal system where they try their luck with different professors by emailing or approaching them after class to see if research opportunities are available. A centralized on-campus research system online would make research experience with professors more efficient and accessible. This would also create new opportunities for students to have exposure to faculty research and to further develop their academic interests. Currently, undergraduates can find positions through the Center for Undergraduate Fellowships and Research or the University Honors Program. CUFR states that students can find research positions through Handshake, GW’s student job search platform. But there are rarely any research assistant positions posted there. I have constantly checked Handshake, and the previous search platform GWork, for research position postings and have only ever seen one or two listings. There are currently no research assistant positions posted on Handshake. The honors program fares slightly better and posts recent research positions through its blog. But this resource isn’t accessible to all students because many positions specify that they’re looking for honors program students. And many non-honors students aren’t even aware this resource exists. Creating a website or application system specifically dedicated to undergraduate research assistantships would be the best solution. Some of GW’s peer schools, including Boston University, already offer this resource for undergraduates. BU’s Undergraduate Research Opportunities Program has an on-campus research program where professors from various disciplines like anthropology, economics, political science and history post information online about a research project and the responsibilities of a research assistant. If students are interested in a particular project, they can contact the professor and apply for the position. GW should implement a program like the one at BU. The University should create a separate portal where students can view and apply for research assistantships. A separate website would allow research opportunities to be classified based on their topic, and the system could be regularly updated to reflect new opportunities. The listing should have position descriptions that offer information about the research project as well as application instructions. This kind of system makes it easier for students to find research opportunities that match their interests. It wouldn’t take a lot of effort or money to put an undergraduate on-campus research program into practice. It’s a low cost yet effective way to improve the resources available to students. All it would require is coordination and organization among CUFR and research departments of individual schools. This would help create a single database of research assistantships that can be accessed by students. Streamlining and bringing all of the research opportunities under a one umbrella would make a more efficient system for both students and faculty. It’s time GW revamps their research system to make it more accessible and student-friendly for undergraduates. Research experience will go a long way in helping undergraduates prepare for the next step after graduation — whether it is future studies or employment. But students won’t be able to get this experience until GW implements a comprehensive on-campus research system. 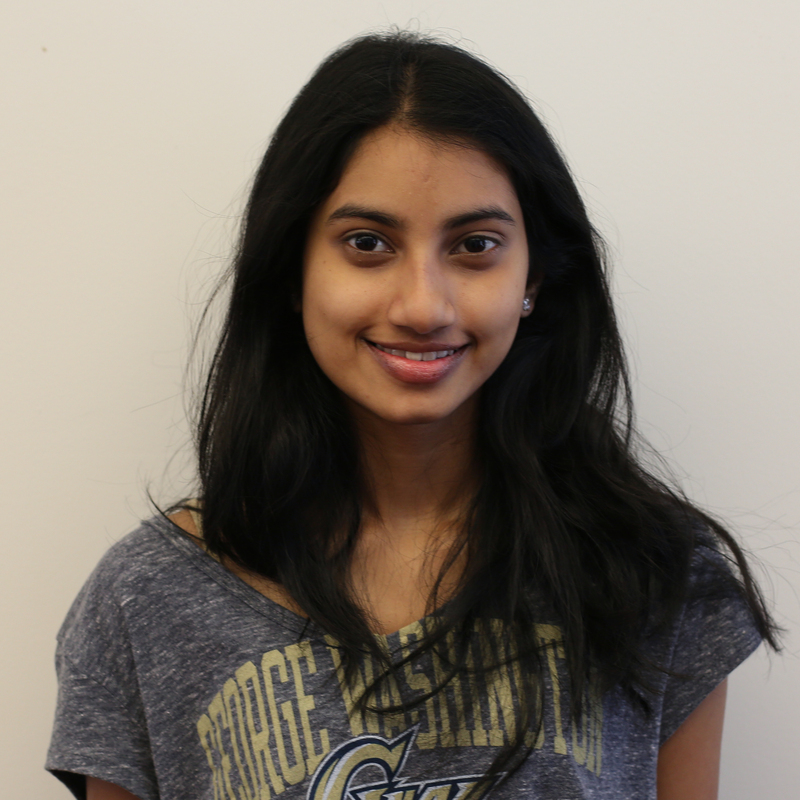 Shwetha Srinivasan, a senior double majoring in international affairs and economics, is The Hatchet’s contributing opinions editor.